We’re looking for a carpenter’s helper because carpenter’s know how to think, and act, and do. You know how to put things together. You know how to solve problems. And for you, “attention to detail” is not just a cliche´. 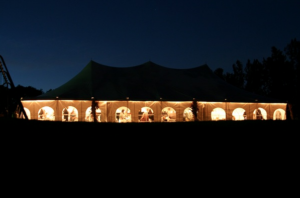 Work for a company who is obsessed with being the best party supply and tent rental company in Western New York. We have new, superior, meticulously-kept equipment, stellar customer service, and an authentic passion for what we do. Just to be clear, you need not have carpentry experience (or any experience for that matter). What we are really after are the right soft skills. We will happily teach you the rest. Nearly every job that we do is a crucial part of somebody’s celebration. Details matter. So if you are the person who can revel in the symphony that is the construction of our events, if you take pride in precision and decorum, if you want to be appreciated and be part of a great team, then please apply. We look forward to meeting you.